It can be due to infection, allergy, or autoimmune problems. Most cases are due to a viral infection and resolve over the course of 10 days. Sinus infection could possibly be caused by any situation that interferes with airflow in to the sinuses and the particular drainage of mucus out from the sinuses. The sinus openings (ostea) could possibly be blocked by swelling in the tissue lining and also adjacent nasal verse tissue, for case with common colds, allergy symptoms, and tissue irritants like OTC nasal sprays, cocaine, and cigarette smoke. 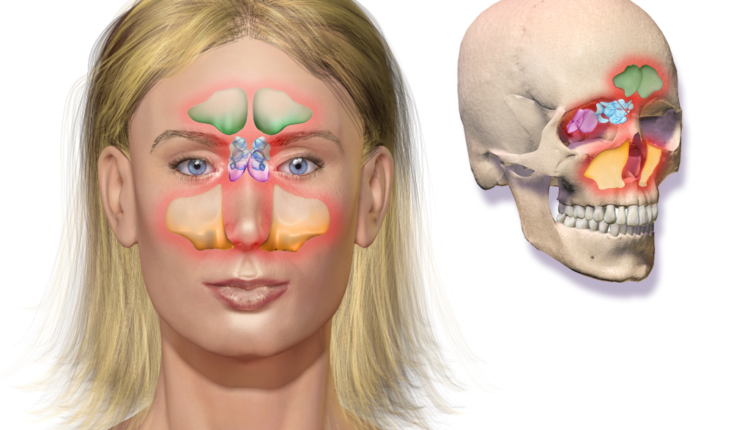 Sinuses can likewise become blocked by means of tumors or growths which have been near the nose openings. The drainage of mucous from the sinuses can also be impaired by thickening of the mucous secretions, by decrease in hydration (water content) of the mucous brought on by disease (for example, cystic fibrosis), drying medications (antihistamines), and lack of sufficient humidity in the air. The epithelial cells have small hairlike fibers, called cilia, which move back and forth to help the mucus move out of the sinuses. These small cilia may be damaged by many irritants, especially smoke. This can prevent them from assisting the mucus in draining from the sinuses. 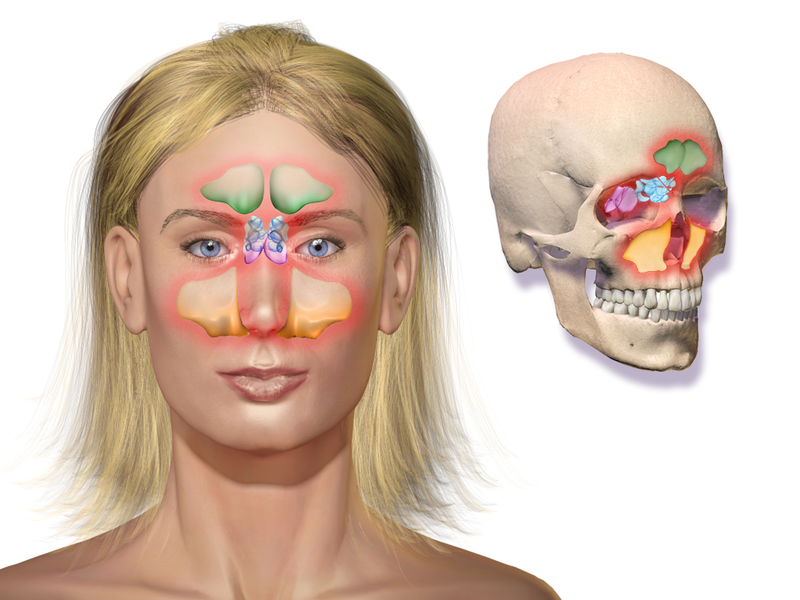 One of the most common and scare-full symptoms of Sinusitis (Sinus Infection) is pain. You have several different sinuses above and below your eyes, and behind your nose. Any of these can hurt when you have a sinus infection. Pain from a sinus infection is no fun, and the nasal discharge isn’t great either. When you have a sinus infection, you may need to blow your nose often because of a greenish-yellow discharge. This comes from your infected sinuses and drains into your nasal passages. The relentless pressure and swelling in your sinuses can reverberate throughout your skull and leave you with a massive headache. The pain can also show up in places you might not expect.